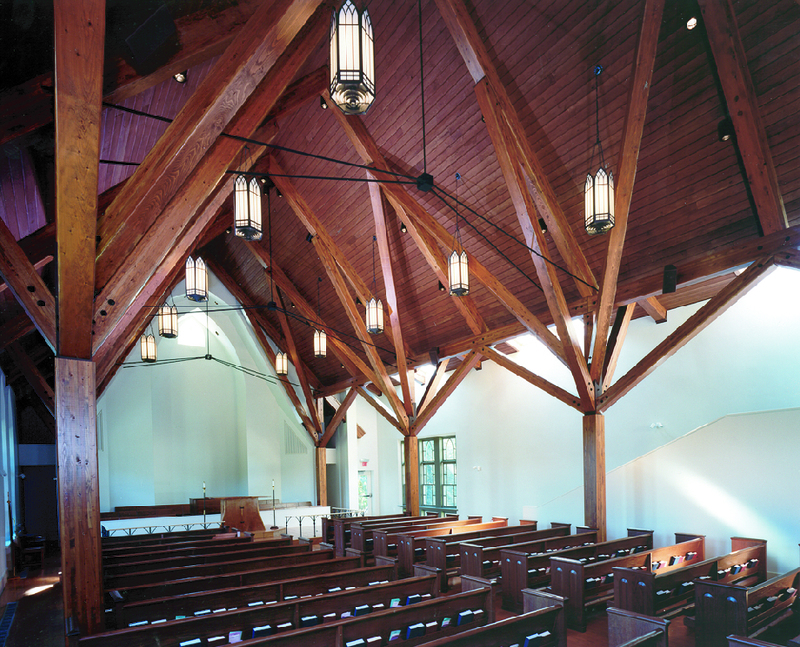 This project began with the preparation of a Master Plan for the historic Trinity Episcopal Church, built in 1878, and its more recent adjoining buildings. Midway through the process, fire destroyed much of the church; only the original stone walls and timber trusses were left standing. The Master Plan gave way to a restoration effort as well as a project to design a new school and sanctuary. 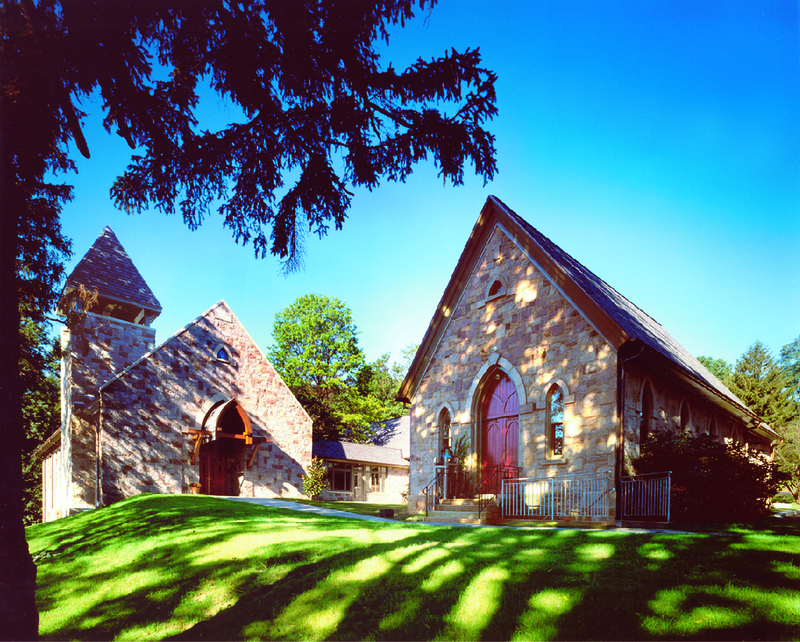 The rural hilltop site, with its picturesque stone buildings, presented an image of peace and refuge. The intention in rebuilding and adding to the complex was to preserve the character of the earlier structure but also to give expression to the dynamic social outreach of this congregation. The new addition, placed at a right angle to the historic chapel, is a simple and understated stone volume pierced by a tower and a timber porch. The interior contrasts with the sense of enclosure and containment that is expressed in the exterior; the nave wall has been offset to admit vertical light and a diagonal stair. The tree-like columns suggests that this is a clearing in the forest, with a special quality of light and shadow. The tower contains a stair that terminates an axial path through the school, parish hall, and narthex. The tower is cut back to allow light to spill into this shaft of space.